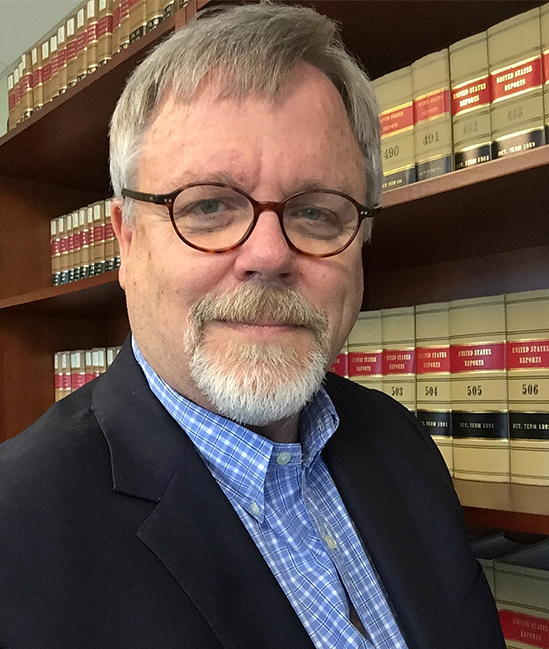 Professor Greg Wallace teaches constitutional law with an emphasis on free speech, church and state, right to arms, and constitutional interpretation. He received the LL.M. and S.J.D. degrees from the University of Virginia School of Law. His doctoral dissertation was entitled “Higher Call: Foundations of Religious Freedom in American Constitutionalism.” He received his J.D. degree with high honors from the University of Arkansas-Little Rock School of Law, where he graduated first in his class, was editor-in-chief of the law review, and won a national moot court competition. He also obtained an M.A. degree with honors from Dallas Theological Seminary. Before joining the Campbell Law faculty in 1995, Professor Wallace served as a law clerk to United States District Judge Susan Webber Wright and was a visiting professor at the University of Arkansas–Little Rock School of Law. Professor Wallace has taught on religious freedom as a visiting professor at the Handong International Law School in Pohang, South Korea, and has lectured on American constitutional law at Southwest University of Political Science and the Law in Chonqing, China and at Nanjing Normal University in Nanjing, China. He received the Dean’s Award for Faculty Excellence in Research in 2004. He has argued more than 150 cases in federal appellate courts in the Fourth, Fifth, Sixth, Seventh, and Eighth Circuits. Professor Wallace provides frequent commentary on constitutional issues at conferences and symposia as well as in news reports, talk radio, and op-ed columns. He is a regular contributor to TheHill.com. He enjoys recreational and competitive shooting, nature photography, and following the Carolina Hurricanes. He and his family worship at Triangle Community Church, where he leads a community group.